Dino Rosin was born in Venice on May 30th 1948. When he was only two months old, his family moved to Murano, the island of glassmakers. When he was twelve years old, he quit school, and started to work with passion and enthusiasm for one of the historic and most renowned glassworks in the island, the Barovier & Toso. His passion for glass soon helped him to emerge, since it was extremely easy for him to express his keenness and his enthusiasm in trying to shape such material. In 1963 he joined his brothers Loredano and Mirco, owners of the Artvet glassworks. 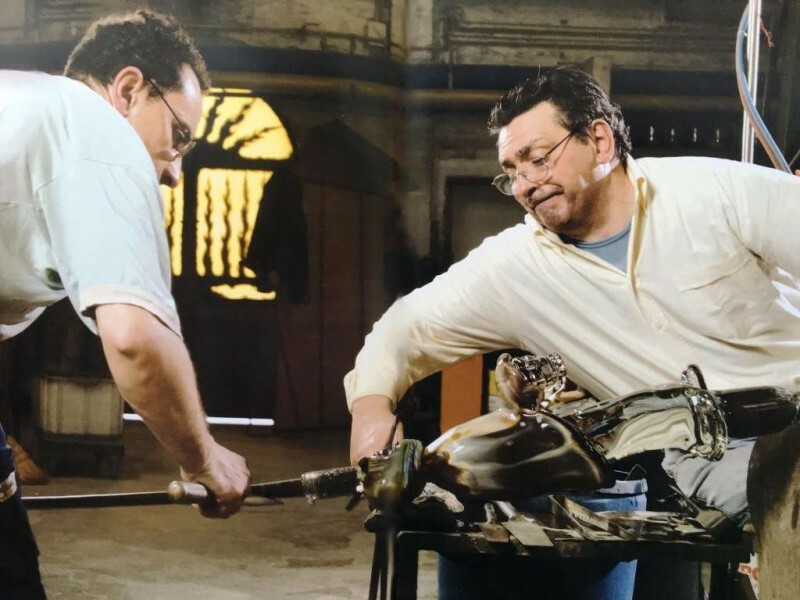 Loredano Rosin belongs to the last generation of Murano glass masters, who were trained in the ancient artisan tradition. Loredano together with Dino Rosin learnt the secret of production of calcedonia, one of the oldest and rarest types of glass. Art pieces made in calcedonia are among the most treasured holdings of museums. The brothers used this ancient and historical glass to produce handmade sculptures of modern style and design. Whether figurative or abstract, the sculptures of the Rosin brothers are classic expressions of human emotions. Often internal tranquility of the figure is coupled with the tension generated by the interaction of two forms that are close to each other but not touching. The mysterious calcedonia accentuate the form and gives a unique touch to it. 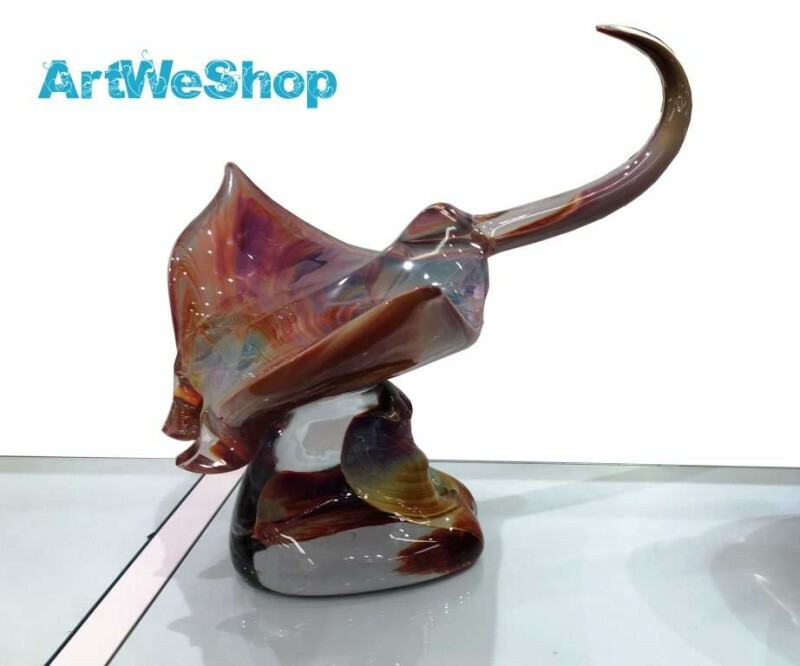 Through the beautiful color and striations of the calcedonia glass Dino Rosin is able to make common objects and symbols such as “violin” and “saxophone” as well as abstract ideas and subjects such as “vergogna” (shame) come to life and fill our soul. The glass artworks of Dino Rosin are truly unique masterpieces and highly sought after by collectors worldwide. It is with great pride that MuranoGlassItaly presents the marvelous Calcedonia Glass Sculptures Collection of Dino Rosin.